Enzo’s POLYVIEW® PLUS Reagents have shown a much lower false positive rate than the competitor’s reagents, allowing for confident results, every time. "The POLYVIEW® PLUS HRP-DAB (Anti-Rabbit) kit worked very well; there was no background and the protocol is faster than many other IHC kits available commercially. I was really happy with the POLYVIEW® PLUS HRP-DAB (anti-Mouse) kit too. 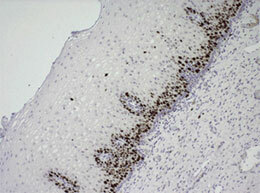 I was previously using an anti-mouse IHC kit from a different company which gave clean results but needed considerably longer time to finish the protocol (the HRP was not directly conjugated to the secondary antibody). I prefer the Enzo kit due to the considerably shorter time (for blocking, incubation with HRP-conjugated antibody, washes, DAB color development) required to finish the protocol with equivalent clean stainings." 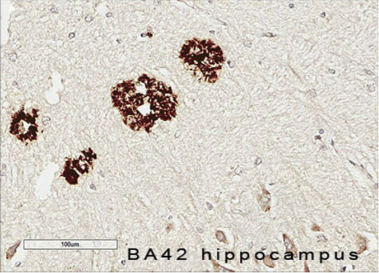 "We tested Enzo's POLYVIEW® IHC detection reagents and HIGHDEF® chromogens on our immunohistochemical autostainers against similar available reagents and chromogens. We found that Enzo's detection reagents and chromogens matched or exceeded what we currently used, allowing for increased sensitivity and specificity when used against both human and murine tissue."